One of my favorite things, when we moved into our new home, six months ago—was decorating it. I have always wanted to decorate my own home and I finally got a chance to do so. It was such a dream come true to buy our own home and now I get to decorate it. I wanted to share some tips for decorating your new home. It is easy to watch a show on HGTV and think you should decorate your home like that. I have news for you. Decorate your home as you see fit. Don’t worry about what others are doing. I learned really quick that I need to use my own sense of style when decorating our new home. I have found some awesome items at second hand shops. Using these items, I have been able to decorate our new home. One of my best finds was buying a bad full of curtains from a person off a Facebook Garage Sale site! Simple, easy, and the curtains go awesome in our home. For $20, I could put curtains on every single room in our new home. If you’re able to buy everything you need right off the bat, good for you. I had to create a budget for decorating our new home. It was important that I stuck to our budget because I didn’t have a ton of extra money to decorate every new room all at the same time. I love having pictures on our wall. 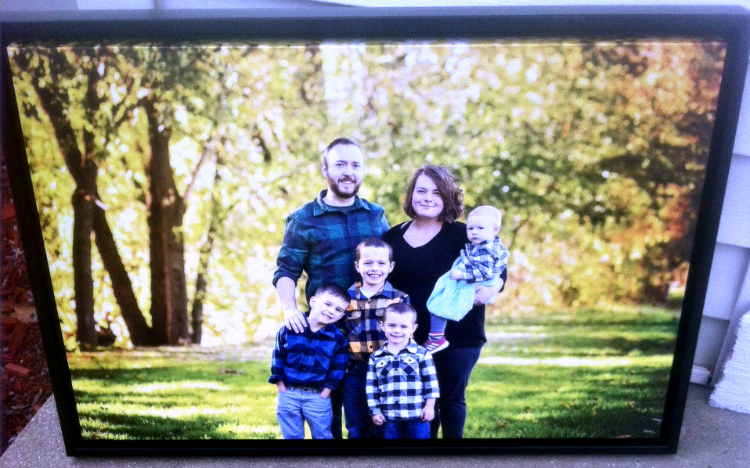 My first stop was QCanvasPrints.com to get our wall prints. The canvas came beautifully framed. I was impressed with the quality. I have never owned a frame that has so much detail and looks so good hanging on my wall. If you are buying a new home and want to decorate it, check them out. Also, canvases from Q Canvas Prints make excellent gifts. What tips do you have for decorating a new home?